To some HVAC technicians, replacing hose seals or gaskets is actually a foreign concept, hose maintenance you say? Hose maintenance is an integral part of successful day to day service and installation. If hose seals become compressed or broken, we can have leaks while testing or evacuating, I have also witnessed restriction to flow in some cases. The frequency of replacements is really dependant on use and abuse of your hoses, it is important not to over tighten your hoses, this is the number one cause of seal failures. Inspect seals before usage, if they appear damaged or compressed it is probably time to replace them. 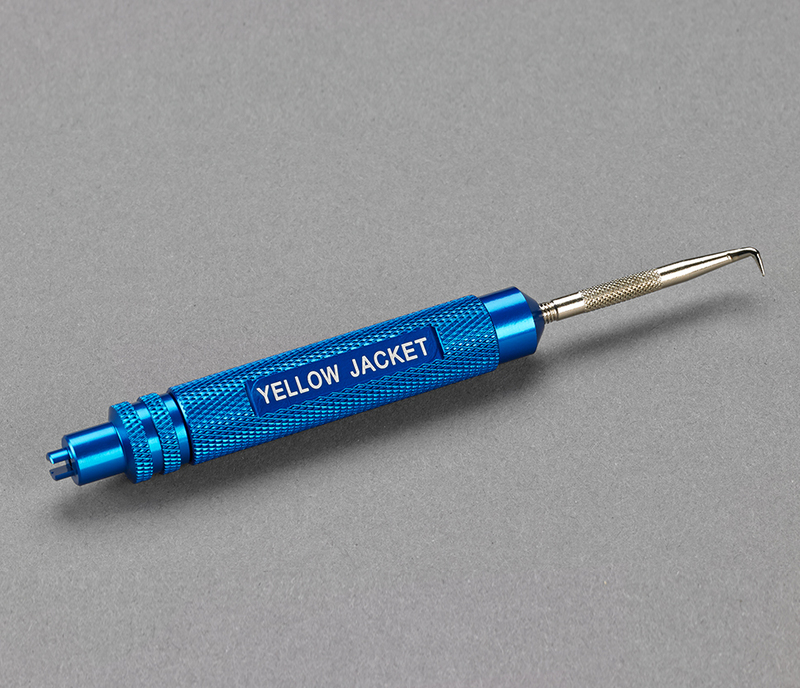 The Yellow Jacket Gasket Remover Tool is designed specifically for removing gaskets, it is a pick, a Schrader core tool and storage area for extra seals all in one. I suggest using Nylog Blue during assembly to help keep the seal and hose connection lubricated. 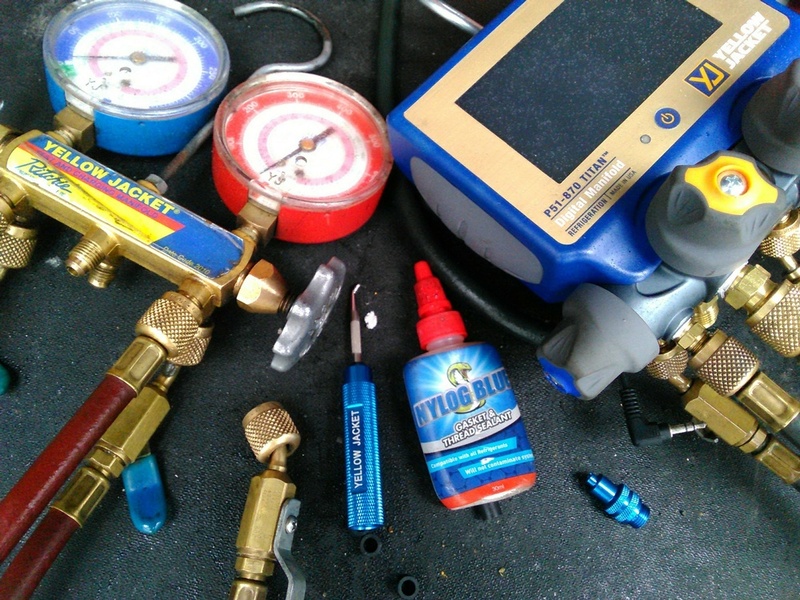 The video below shows the tool in action using Nylog Blue as an assembly lubricant.